Happy holidays friends! Welcome back to Cooking with Copy. It’s been getting quite festive around here lately between the sparkly tree, the music, and the three kinds of cookie dough chilling in the fridge. Sending care packages and buying washi tape have become my new hobbies, and sugar may as well be the base of the food pyramid. No matter! We’re here to talk about more important things, like what you’re going to serve to overnight guests on Christmas morning. Or to yourself tomorrow morning. Or right now. See, every overnight at grandma’s house in Indiana ends the same way: with Pillsbury orange cinnamon rolls served on her white mellamine dishes with the green trim, right before loading up the car and heading home. The rolls don’t exist outside of grandma’s house. Then I watched Joy the Baker’s episode of, “Bonkers Awesome,” featuring The Pioneer Woman, and the world stood still. These were happening—with or without a trip to the Hoosier state. 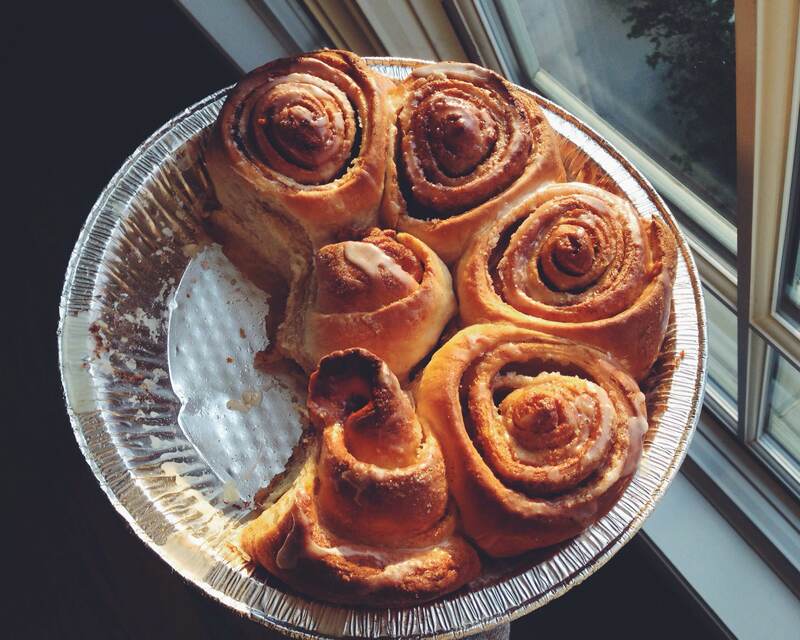 The moment Joy posted the recipe, the countdown till Project Bun was in the oven (and the end of the workday), began. Having never made a yeasted item in my life—besides that one accidental-and-regrettable Jamie Oliver-fried-pizza-dough situation all those years ago, for which I am still appologizing—the long recipe, complete with dough rising and resting times, seemed ominous. 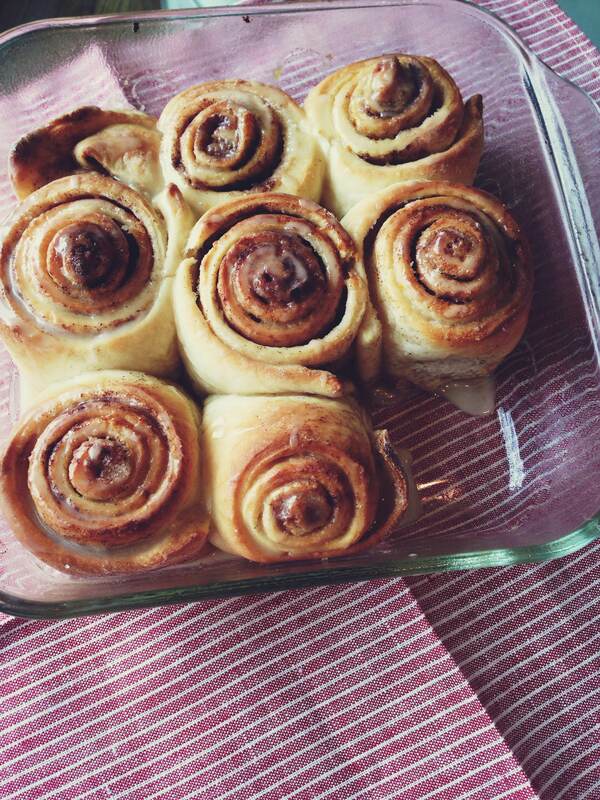 The truth is, I’m a lazy baker. This explains why cookies spew from my house at such an alarming rate. Yet even I managed to pull through for these. They’re so good, it’s stupid. I like mine on the simpler side, but let me know how it goes if you add the pistachios and dark chocolate. This dough is stubborn and took nearly three hours to rise, so fear not if yours isn’t perfectly pillowy after one. If you have a dishwasher, run it once through with the dirty dishes from dough mixing, while the dough does its preliminary rise in a warm place in the kitchen. Once the cycle is finished, unload the dishes and place the covered pot of dough into the now warm-and-empty dishwasher, and close the door. Leave the dough there until it has achieved the desired fluffiness. After the three-hour dough ordeal it was time for bed, so I popped it into the fridge overnight. The rolls still baked perfectly the next morning. Go crazy with the orange zest! I’d recomment zesting two oranges—doubling the amount Joy calls for. In keeping, feel free to layer on the cinnamon and sugar; the more, the better. Baking the rolls in a round pan (which was probably too small) left raw dough in the center of the pan and required much more baking time than the square Pyrex dish. Use the latter if possible. Add 3 (or more tablespoons) of orange juice to the glaze. Just do it. Rolls can be enjoyed equally whether eaten layer by layer, or as one giant blob. Bonus: You will have a freshly squeezed glass of orange juice thanks to the leftover juice from the glaze. 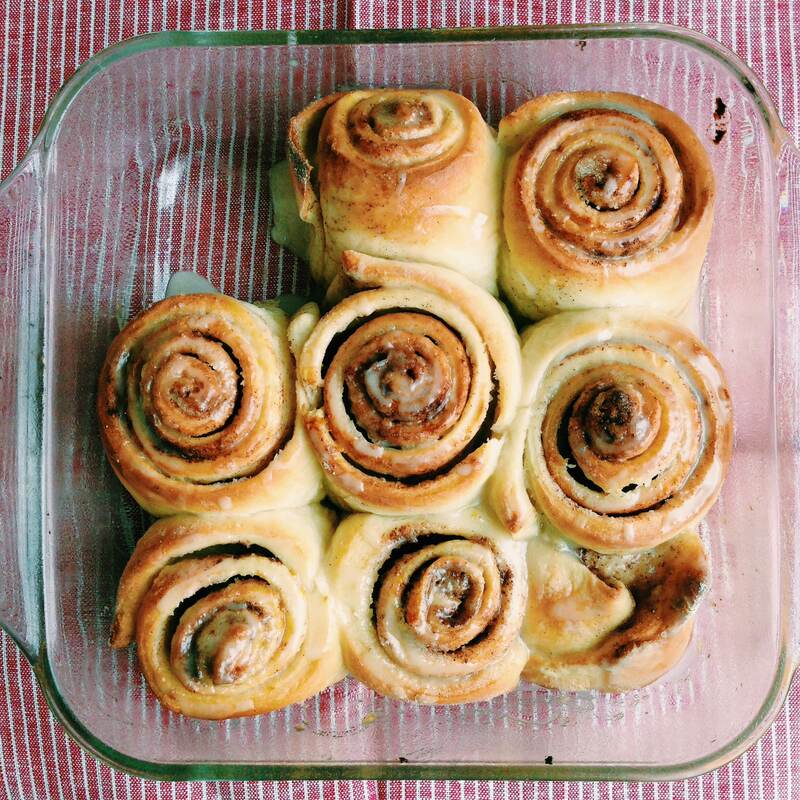 They are the perfect way to thank grandma for all the cinnamon rolls she’s made for you over the years. Happy baking!